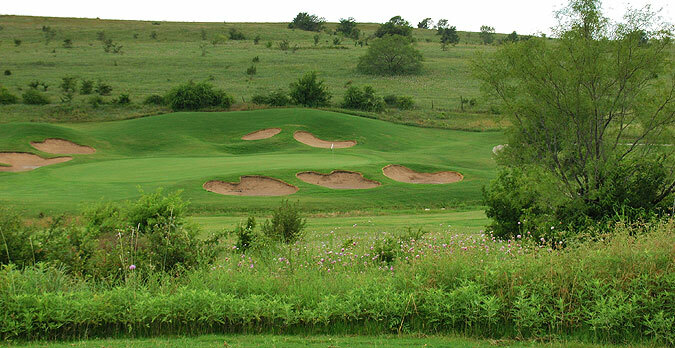 Whitestone Golf Club off Hwy 337 South in Benbrook, is a wonderfully designed 18-hole championship course built over a rolling terrain with a nice mix of tightly challenging and wide open holes. The hilly topography winds through an upscale residential development, with lush conditioning along the fairways, tees and greens, all featuring Bermuda turf. The sprawling, intricate bunkering that squeezes the landing zones off the tee and challenges approach shots to the large, undulating green complexes is a memorable feature on this course. 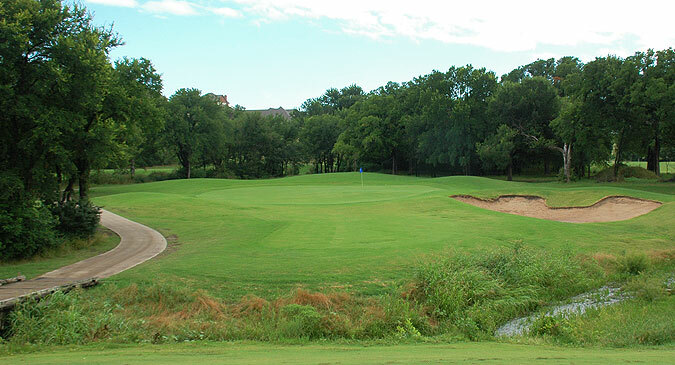 There are approximately 50 strategically located sand traps, and water comes into play one only one hole - with a lake situated to the left of the par three 5th hole. Four sets of tee boxes play to distances and slopes measuring 7117 yards/135 slope, 6615 yards/128 slope, 6085 yards/125 slope and 5201 yards with a slope of 125 for ladies playing from the forward tees. On course yardages are marked on the fairways and cart paths at 100, 150 and 200 yards (plus 250 on par fives), and Par View GPS is standard on all carts, providing hole diagrams and accurate measurements from tee to pin. The clubhouse features a pro shop and the Whitestone Grille serving breakfast and lunch items, and there also is an outdoor patio and covered pavilion for outings and events. Practice facilities include a targeted grass range, short game area with sand bunker, plus putting green. This is a fine facility - and the golf course is beautiful. Players will be happy with the conditioning and with the variety in hole designs. Two of the more memorable holes are the sharp dogleg left par four ninth and par five 10th which plays downhill off the tee then and uphill to the left on the approach. We highly recommend a round at this very reasonably priced golf course. For more info, visit our page for the property, with direct link tot heir website by clicking here.